One of the best ways to enjoy Irving is to get outside and admire its vibrant outdoor spaces and greenery. If you golf, you’re in luck. 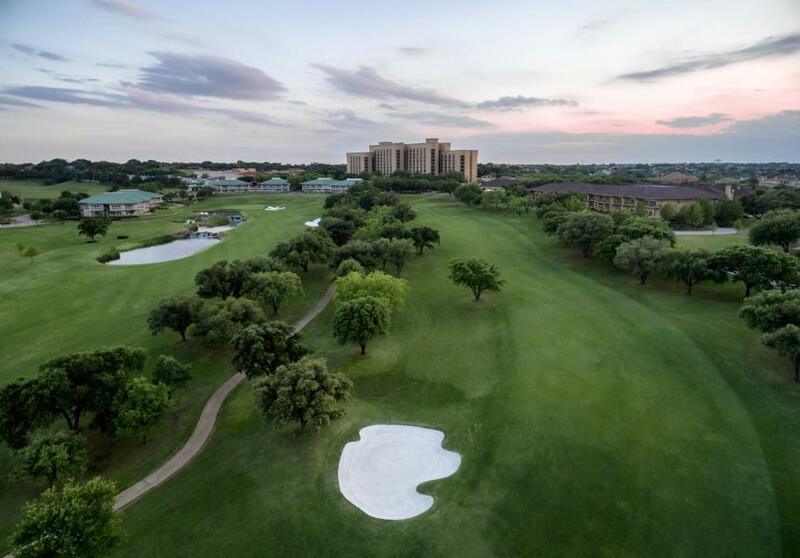 Irving golf courses offer spectacular fairways, manicured grounds, and inviting clubhouses, giving you every excuse you need to hit the links and get some fresh air. Whether you’re looking for an exclusive club atmosphere or a public no-frills course, there are several 18-hole Irving golf courses waiting for you. Don’t miss the chance to play at one of the most luxurious Irving golf courses, the Tournament Player’s Course at the Four Seasons Resort and Club Dallas at Las Colinas. This former PGA TOUR stop is pro-level golfing at its finest. The course is challenging, yet still accessible to recreational players. Here, you can take advantage of the driving range and chipping greens, squeeze in some instruction with a certified PGA instructor, or just tee off with your friends. Its location at the Four Seasons Resort provides excellent amenities for before or after your game, from comfortable locker rooms at the luxury spa to fine dining, drinks, and more. With two 18-hole courses designed by famed golf course architect Ted Robinson, Bear Creek Golf Club is a prime place to play a round or two. While the course does provide membership opportunities, it remains open to the public. Its convenient location near the Dallas/Fort Worth International Airport make it an easy course to reach. Admire beautiful scenery in the park-like setting. Lush oak trees line Bermuda grass fairways and abundant water features make for a pleasant and relaxing experience. A full-service clubhouse and golf shop have everything you need to make a day of it, from food and drink to clubs and gloves. To experience the first and only NFL-themed golf club in the world, make the short trip to Grapevine, TX where you’ll find the Cowboys Golf Club. The first-class course is open to the public and spans 159 acres of pristine greenery, including natural waterways, forests, and elevation changes. The impressive course is just the beginning; the club also features multiple dining options, a practice facility, golf shop, clubhouse, and event spaces. Another course worth the trip is the Tour 18 Golf Club. Located just a 30-minute drive away in Flower Mound, this course features impeccable replicas of notable golf courses in America. Imagine playing courses from the famed Augusta National Golf Club in Georgia, Winged Foot Golf Club in New York, Muirfield Village Golf Club in Ohio, and more, all in one location. Last, but not least, look out for the Irving Golf Club, formerly the Twin Wells Golf Course, reopening later this year. The public course is currently undergoing renovations to implement enhancements such as a new irrigation system, tee boxes, putting greens, and clubhouse facilities. The course has also been reorganized to accommodate the improvements and make for a more challenging game.